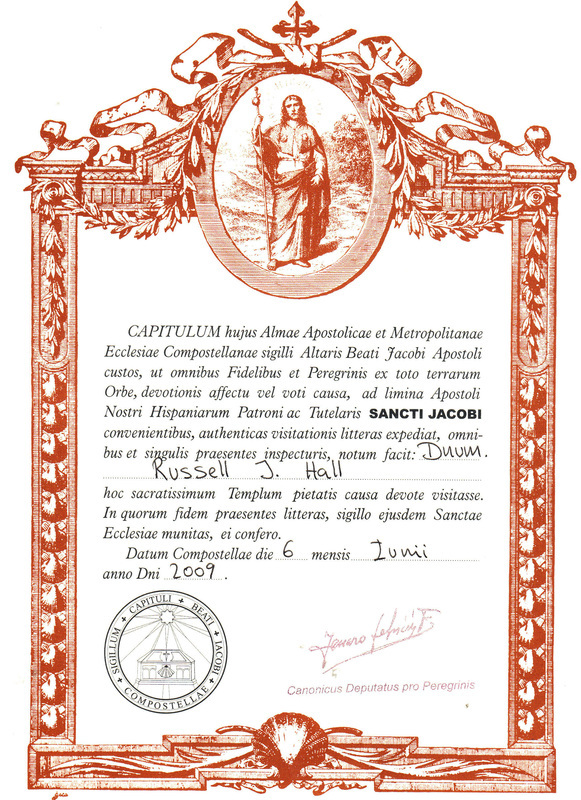 El Camino de Santiago de Compostela - What is it? If you are reading this, you probably already know, but here it is in a nutshell. The Camino is a thousand-mile long, thousand-year-old route that historically carried pilgrims from all over Europe to the shrine of St. James (Santiago in Spanish) in Galicia in northwestern Spain. In the Middle Ages as many as one million people a year funneled in to the trail, completing their voyages at the reputed burial site of St. James. Later the trail fell into disuse, but in recent years it has grown in popularity, with 100,000 people, more or less arriving in Santiago. With its excellent infrastructure, picturesque scenery, and special mystique, it is highly attractive to contemporary walkers. Unlike their Medieval counterparts, after reaching Santiago, most people today don’t face the prospect of turning around and walking all the way back. 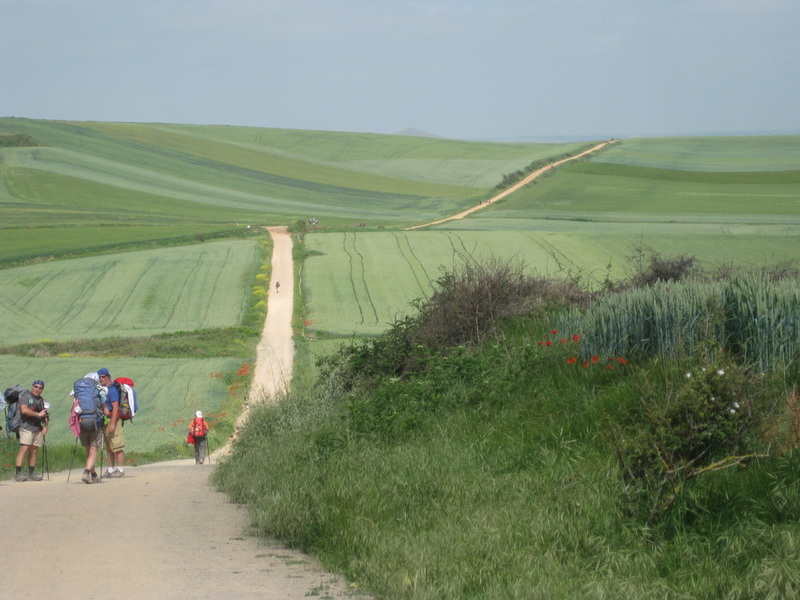 The American Pilgrims on the Camino website provides excellent detailed descriptions of the history, legends, and current status of the Camino. Click here to access this information and links to other resources. A more succinct description can be found here.